The Peacefull Arctic Sun at Daylight turns at Night with UV Light into a Phenomenal Shining Star. 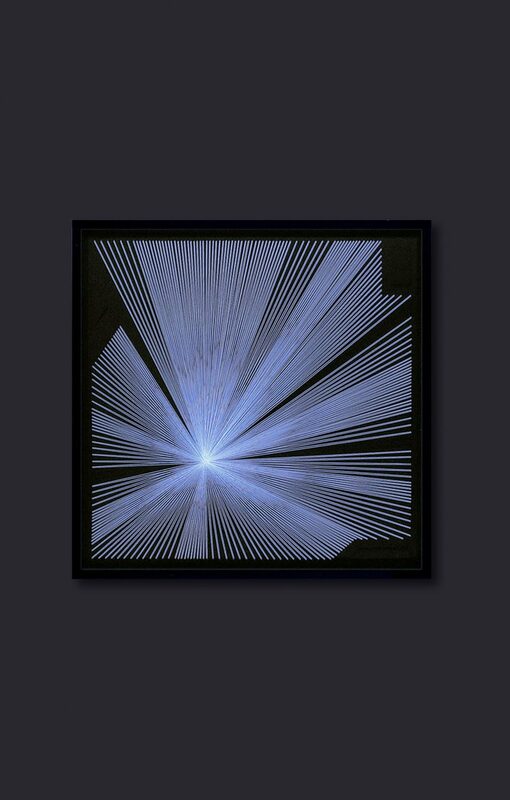 A Large Elegant Abstract Neon String Art in Warm Dim Grey. One Foto was taken at Daylight and you see the Image in Natural Colours. 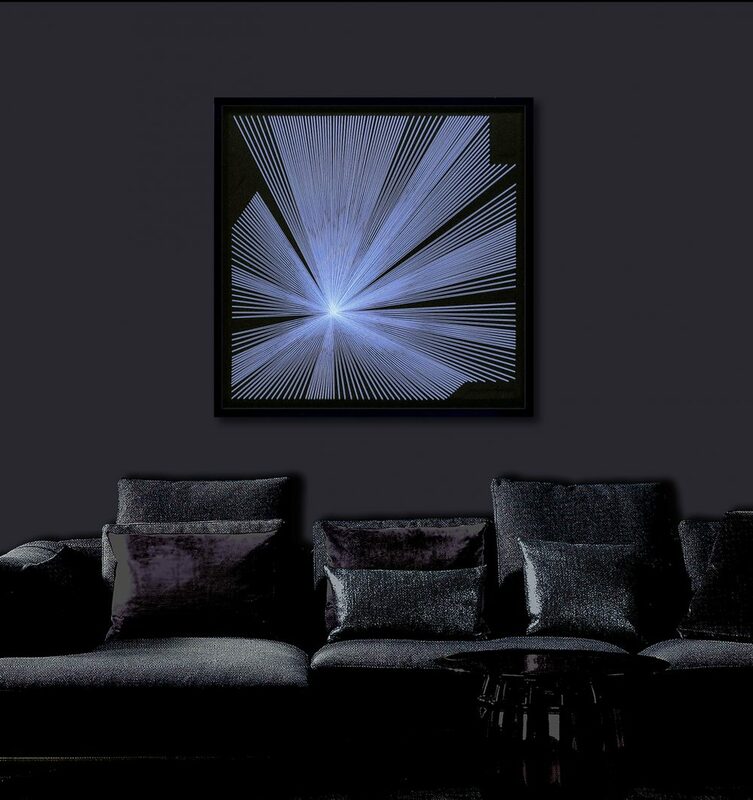 The other was taken at NIGHT while Neon Threads are Illuminated with UV Light. This is a Special Effect as an Option. 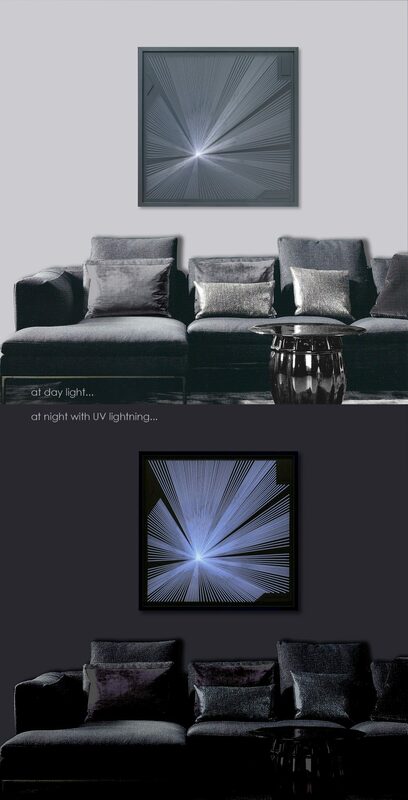 Create Subtle Mood effects in your Home as well as for Cool Lounge Bars, Coffee Shops and Restaurants. 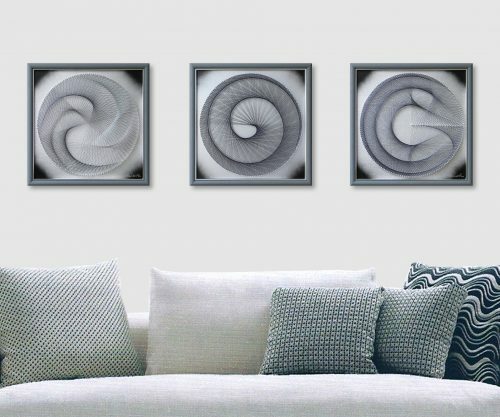 Ambiental Sacred Geometry Art for Modern Offices, Meditation, Spa and Yoga Rooms. 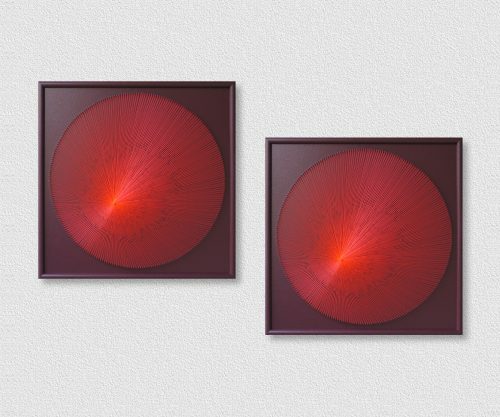 Zen Wall Art for Cosmos Observers, Fans of Geometry and Mathematics, Spiritual Seekers. 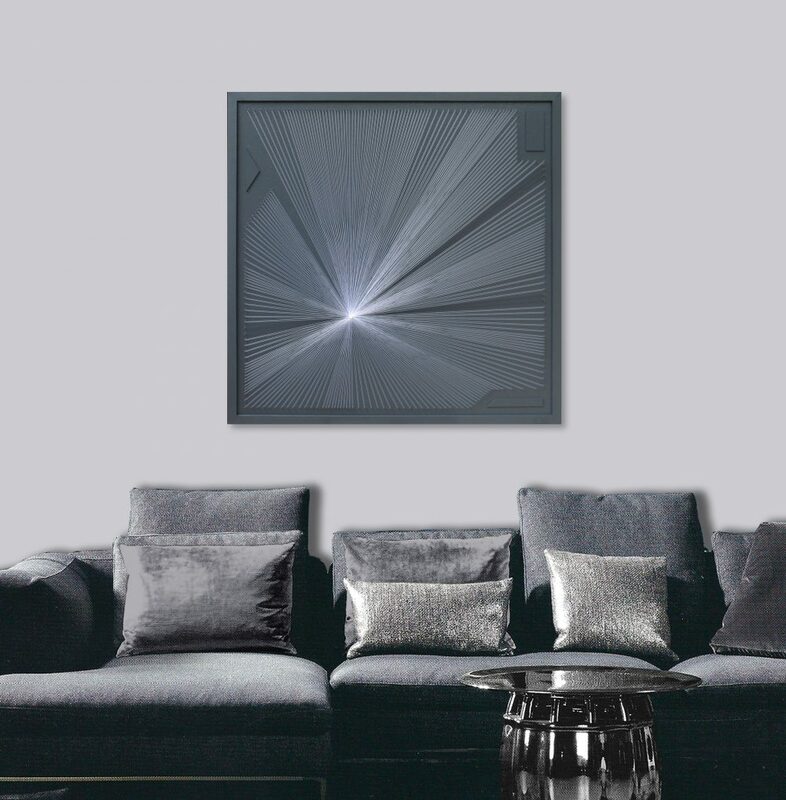 It is Framed Art and behind Acrylic Antireflective Glass, Colours are Customisable. If you have any questions, just let me know. I will come back in 24h os sooner. I Ship Worldwide.